The $500 bln internet retailer reported another riveting quarter of top-line growth. Investors will fret about the sky-high valuation and reduced profit, but feedback loops within the company keep rivals at bay. Governments may one day intervene, but that reckoning is far off. Amazon CEO Jeff Bezos addresses the Economic Club of New York in New York City, U.S., October 27, 2016. 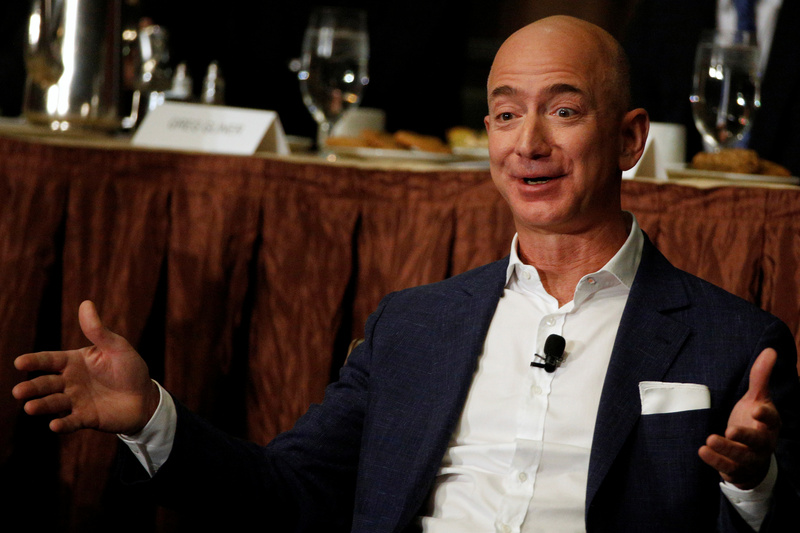 Amazon reported net sales up 25 percent to $38 billion in the second quarter from a year earlier. Profit fell 77 percent to $197 million.